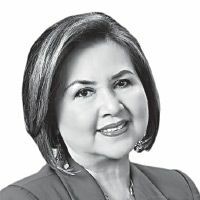 Ayala Land Inc., (ALI) affiliate Cebu Holdings Inc., (CHI) posted a 20 percent growth in its real estate business in 2018, at the backdrop of Cebu’s vibrant property sector. Mandaue City is now eyed as the next favorite site for online gaming companies, next to Mactan island, a research firm revealed. Home furnishing manufacturers are called to meet the non-traditional demand for designs of the new breed of end-users — the millennials. To maximize the sports tourism potential of Central Visayas, the Department of Tourism (DOT-7) is eyeing to tap the tourism attachés all over the world to attract sports tourists. While the international demand for refined seaweed products continues to stabilize, the Philippine seaweed farming sector is likewise urged to tap the rising local demand. Following the introduction of co-working space facilities in Cebu, demand for event or community spaces is seen to rise. Plantation Bay Resort and Spa in Cebu has partnered with Guam Reef Hotel to promote authentic Pinoy food to this US island territory— Guam. Cebu tourism stakeholders have expressed willingness to work with the export sector to further boost tourism in Cebu and the Central Visayas region. The Philippine Franchise Association (PFA) is urging Filipinos to enter into entrepreneurship through an easy channel via franchising. Newly opened five-star Dusit Thani Resort Mactan announced to provide water transport alternative for its guests. After its successful entry in Qatar, Cebuano coffee shop brand Bo’s Coffee attracts more interested franchisees from other countries. Philexport-Cebu is drumming up membership inclusion of companies engaged in tourism related services and products, following the board’s decision to include tourism to its roster of industries. Even in the twilight years of offset printing and other traditional printing methods, Donato Manuel “Don” C. Busa refuses to give away his success in printing. The Department of Trade and Industry (DTI-7) is set to open another Go Lokal! outlet in Panglao International Airport this May. Priland Development Corporation sets aside an estimated budget of P3 billion for three new projects in Cebu this year.